Bangkok has a host of sights and attractions and any ‘best of Bangkok list’ is always going to be subject to individual taste and opinion. 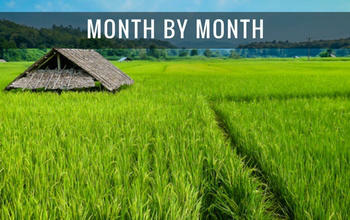 I’ve listed below some personal highlights of Thailand’s capital city that I’ve enjoyed by myself or with family. 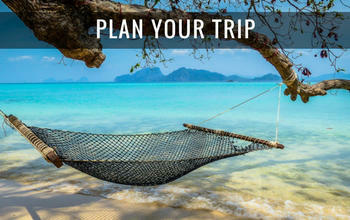 The list is in no particular order, but whether you’ve been to Bangkok before or not I hope it will give you some ideas. 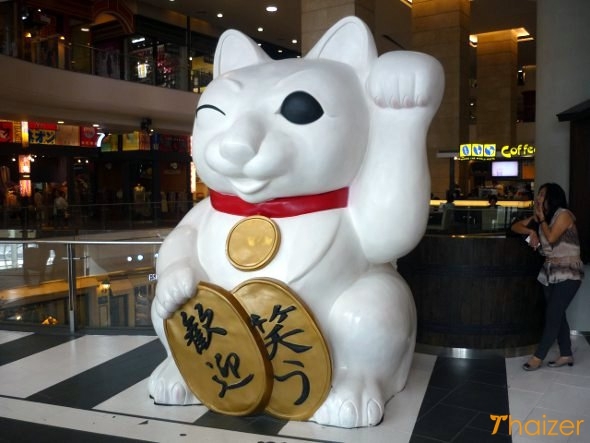 You don’t have to spend a lot of money to enjoy some of the best things that Bangkok has to offer and if you travel with a little bit of adventure in your soul, Bangkok will reward you with some memorable experiences. None of the things that I’ve listed require that you book an an organised tour and can be achieved independently travelling via Bangkok’s public transport network. Although this is a list of things to do in Bangkok, there are some great trips within easy travelling distance of the city. Ancient Siam (also known as Ancient City or Muang Boran) is an excellent way to spend a half-day or full-day with enough there to keep the entire family occupied. A little bit further out of Bangkok is the famous Damnoen Saduak Floating Market,but it isn’t actually in Bangkok itself and is easier to get to via an organised tour rather than independently, so I’ve excluded it from this particular list. It’s cheap, it’s everywhere, it’s available around the clock and it’s part of the very fabric of life in Bangkok. Food. More specifically, street food. Some first-time visitors to Bangkok are put off trying street food and hawker stalls because they are worried that the food might be unhygienic or it might be too spicy. It’s not a bad thing to be cautious, but by being overly-cautious you can miss out on one of Bangkok’s quintessential experiences. Some years ago, my mother came to visit Thailand for the first time. 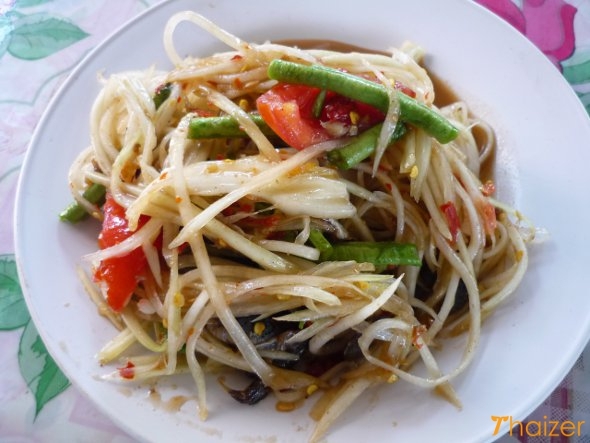 We did many of the things listed below, but one thing that she still talks about to this day is a visit to a small no-name food stall on the banks of the Chao Phraya River. My mum has since told me that although she trusted me, she did wonder what I was doing when she saw the tiny plastic stools to sit on and the ancient cooking pots on display. As the old saying goes, you can’t always judge a book by the cover. The food was great, the lady cook was delightful and the whole experience was one that my mum cherished and still talks about fondly. This isn’t an obvious choice of attraction, but it’s one that I always suggest when people ask for my opinion on things to do in Bangkok. With fantastic views over the city and Chao Phraya River, evening cocktails at The Dome can be an unforgettable way to spend an evening. It’s also an experience at the opposite end of the scale compared to eating street food, but that in itself is a microcosm of Bangkok, a city of contrasts. There are a number of excellent rooftop restaurants and bars in Bangkok and the views over the city can be spectacular especially as the sun sets over the sprawling metropolis. 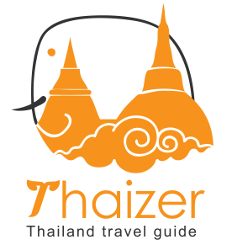 If you choose to dine it can be an expensive option by Thai standards, but still worth the splurge and tremendous value by international standards. If you want to keep things within more of a budget but still want to enjoy the night-time views over the city, just go for drinks. 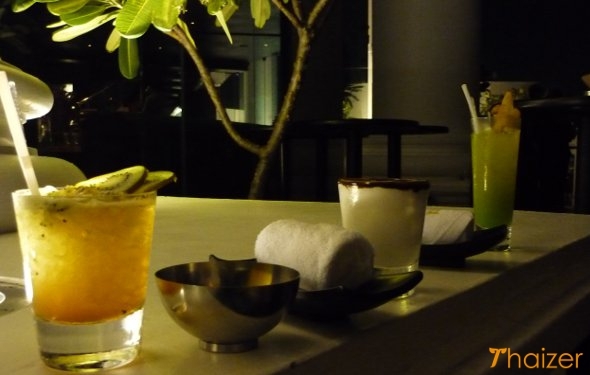 My personal recommendation is cocktails at The Dome at Lebua, State Tower, but there is a wide selection of rooftop bars to choose from in Bangkok. 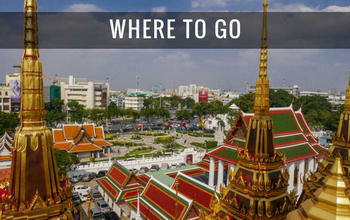 It’s no surprise that this is usually listed as the number one attraction in Bangkok. 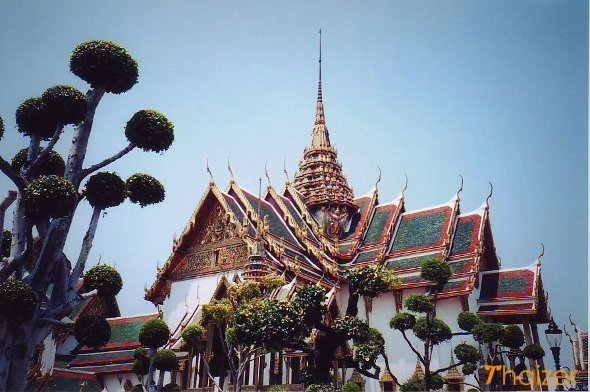 A visit to Wat Phra Kaeo and the Grand Palace is treat for all of the senses and if you are coming to Bangkok this is one tourist attraction that you should definitely find time for. If you do make it to the Grand Palace, it’s only a short walk from there to Wat Pho the temple which is famous for the Reclining Buddha. 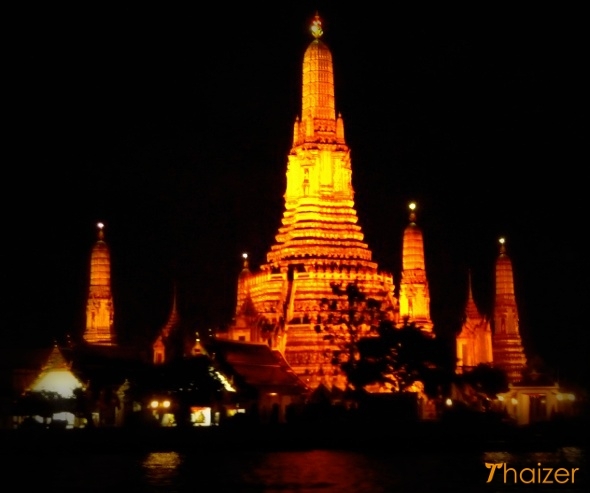 Wat Pho is also considered to be the spiritual home for traditional Thai massage. Although the full-body massage can border on the painful when it’s being done, you should end up feeling better for it afterwards. 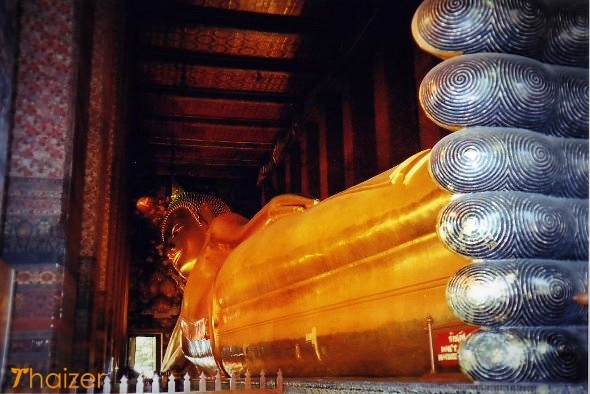 I have to admit I’m not always keen on the full traditional massage so I often opt for a foot massage instead and Wat Pho is a great place to treat your feet and set yourself up for more Bangkok sightseeing. 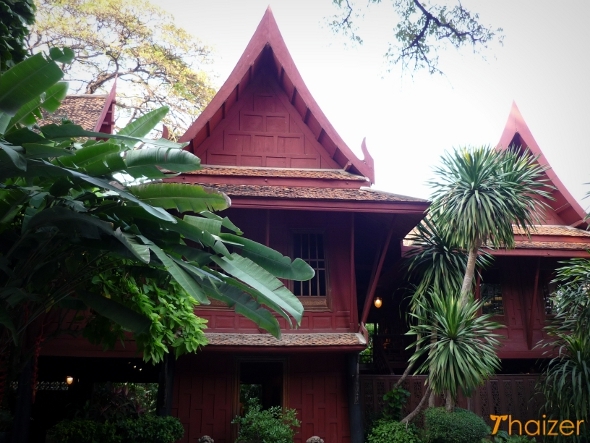 I surprised myself with my first visit to Jim Thompson’s House. It was far more interesting than I’d expected and was a delightful way to spend an afternoon away from the hustle and bustle of modern Bangkok. 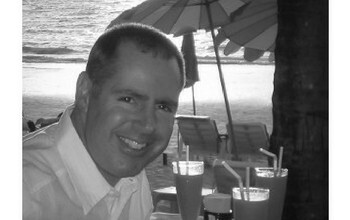 I’ve since been back a number of times with family and always enjoyed my visits to the ‘House on the Khlong’. Viewing Bangkok from the river gives you a whole new perspective on the city. The Chao Phraya River and associated waterways and canals were the traditional lifeline of Bangkok bringing in food, trade and people. The significance of the river may have lessened with the advent of the roads, railways and modern life, but it remains a key transport link in Bangkok. River boats still ferry commuters to work, children to school and goods to market. 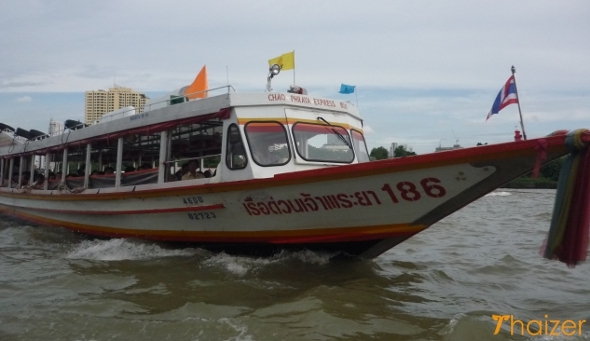 You don’t have to book a guided river tour (although that is an option) and, depending on where you are staying in Bangkok, a cheap and convenient boat ride can be the best way to arrive at a number of the city’s most important landmark attractions including the Grand Palace and Wat Arun. The river also hosts a number of boats which specialise in dinner cruises taking in Bangkok by night. From personal experience, I recommend the Manohra River Cruise. This is quite easy to arrange independently and my family had a lovely evening when we went and all agreed that this is a dinner cruise that we would definitely do again. Shopping isn’t high up on my list of favourite things to do anywhere in the world, but I can see the appeal it has for many visitors to Bangkok. 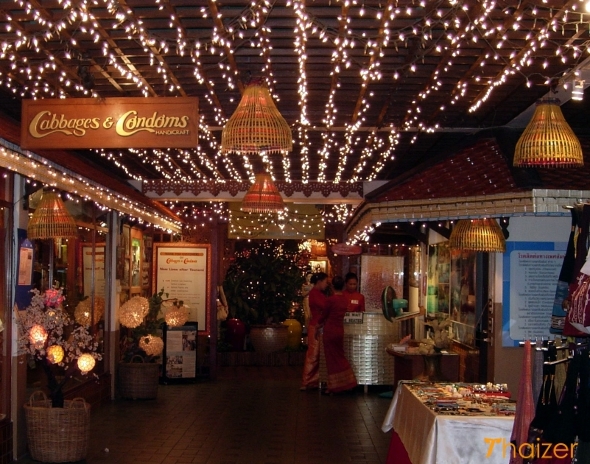 In Thailand, a shopping expedition is often as much about the food as the goods you are buying. If, like me, shopping isn’t your thing but you end up getting dragged along anyway, you can console yourself with the thought that great food is never more than a few minutes’ away. On the other hand, if retail therapy is where you’re at, then Bangkok’s malls, boutiques and markets will certainly be able to give you your fashion fix. From the glitzy high-end stores of Central World to the local markets at Pratunam and the massive outdoor weekend market at Chatuchak, Bangkok is a shopper’s paradise. The Cabbages and Condoms restaurant in Bangkok always makes me smile. It’s located just off of the busy Sukhumvit Road and a short walk away from some of the racier nightlife in the Nana district, but you wouldn’t know it from sitting in the restaurant’s pretty courtyard garden with its fairy-lights and gentle Thai music. Every time I’ve visited it’s always been a wonderful evening with good food in a picturesque setting. It also supports a great cause and has a unique gift-shop. In fact, it’s probably worth visiting for the gift shop alone! I’ve heard Cabbages and Condoms snootily described by some expats as a tourist trap. That’s not an assessment I agree with and if you are visiting Bangkok, I highly recommend a trip to this unique restaurant. The archetypal view of Bangkok is that it’s a sprawling, traffic-choked mega-city. That may be true, but the Thai capital also has some green spaces where you can enjoy more natural surroundings and get another view of the city and its inhabitants. Take a trip to Lumphini Park which in the early morning and early evening is a hive of sanuk activity with joggers, tai chi and aerobic sessions. Another great way to see the green heart of Bangkok is to take a bicycle or segway tour through less well-known areas of the city. Alternatively, a short trip along the Chao Phraya River takes you away from the main bustle of the city to Ko Kred, known as pottery island where you can watch the potters doing their thing. 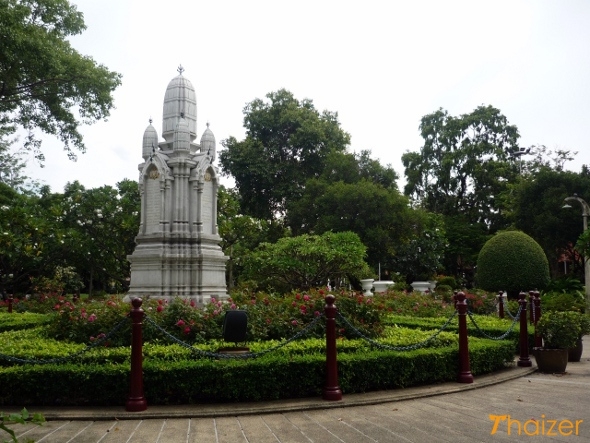 A personal favourite location of mine is Saranrom Royal Garden a few minutes’ walk away from the Grand Palace complex and Wat Pho.